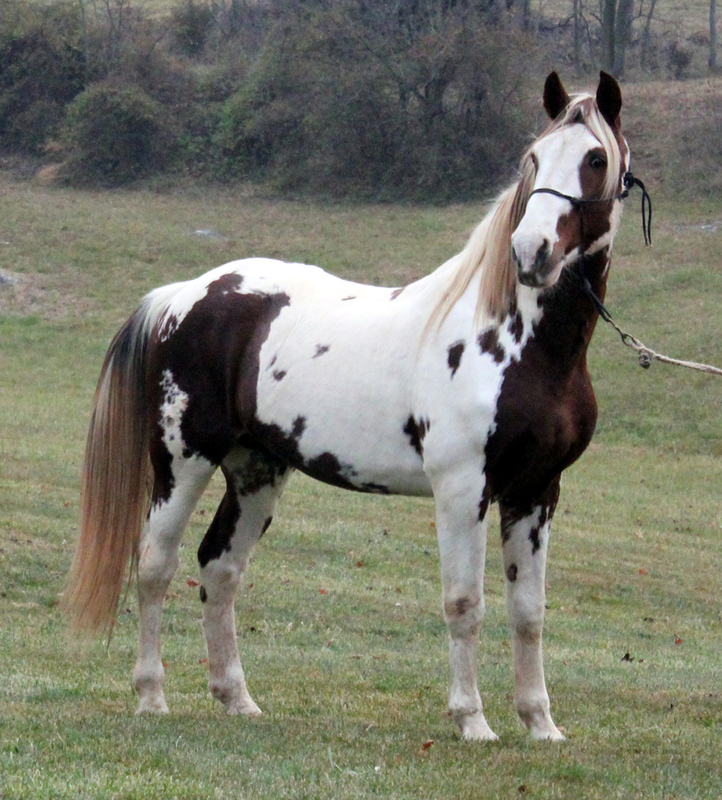 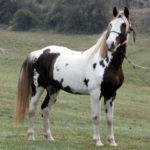 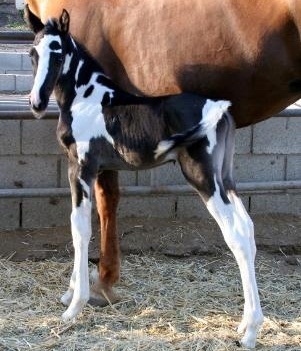 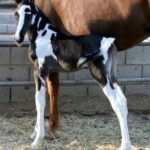 The Spotted Saddle Horse is a breed of equines that developed in the United States. 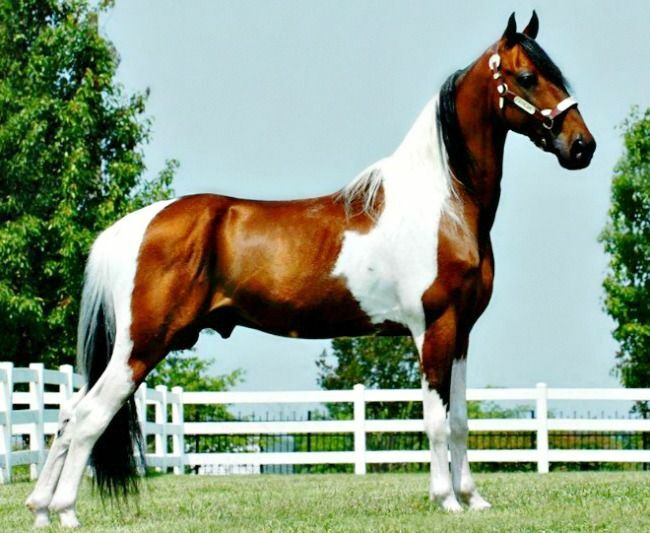 Known for their good looks, this is a ‘saddle-type’ horse that moves in an ‘ambling’ gait, in addition to the common ‘walking’ and ‘cantering’ gaits. 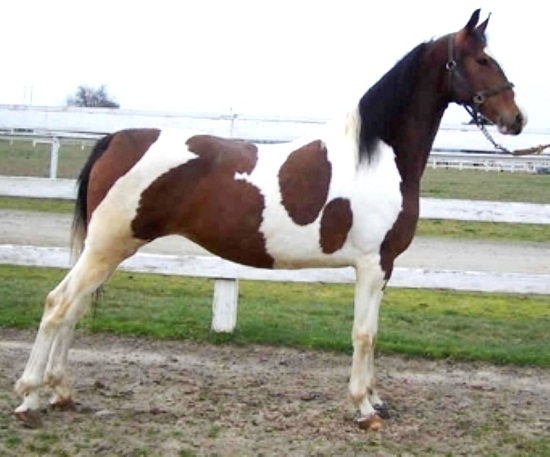 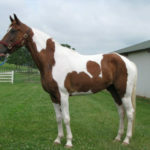 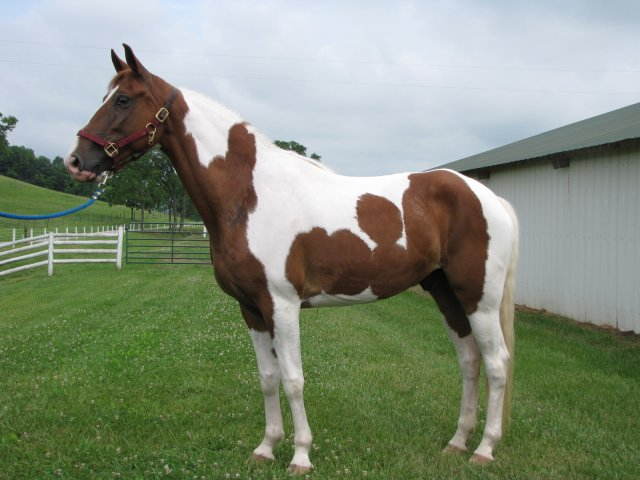 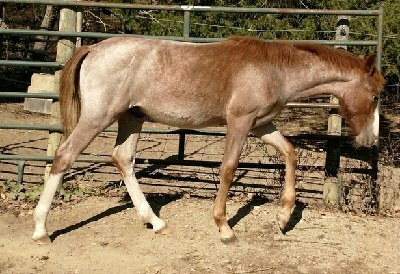 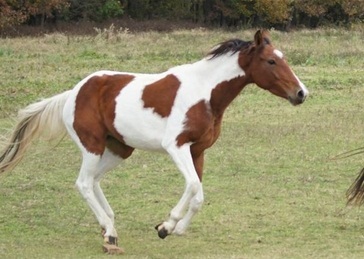 The breed standards of this horse recognize only the ones that have pinto patterns. 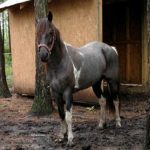 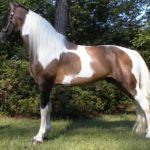 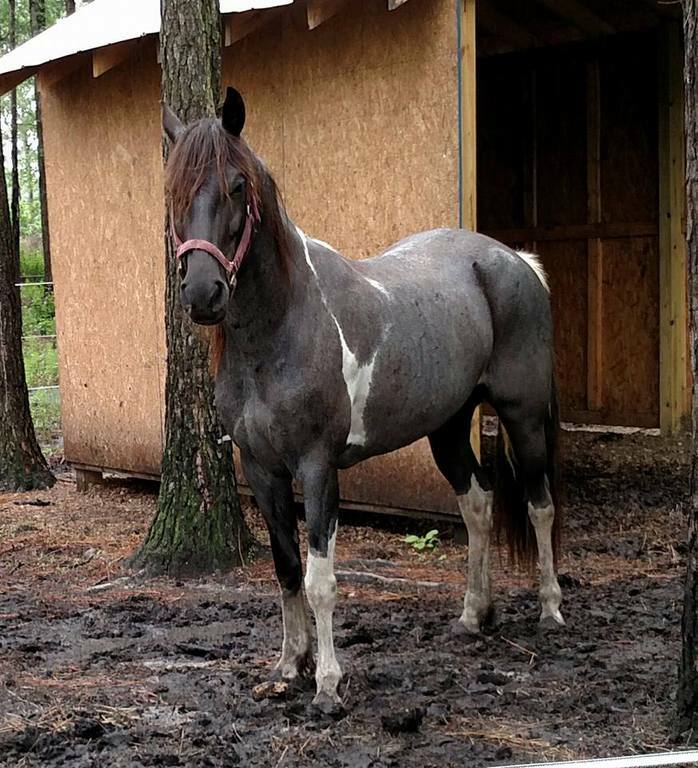 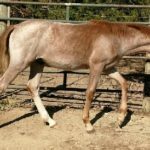 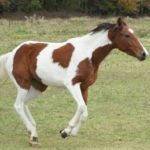 The SSH originated in the central Tennessee as a cross between the Spanish small gaited pinto ponies and the other larger gaited breeds like the Morgan and the Standardbred horses. 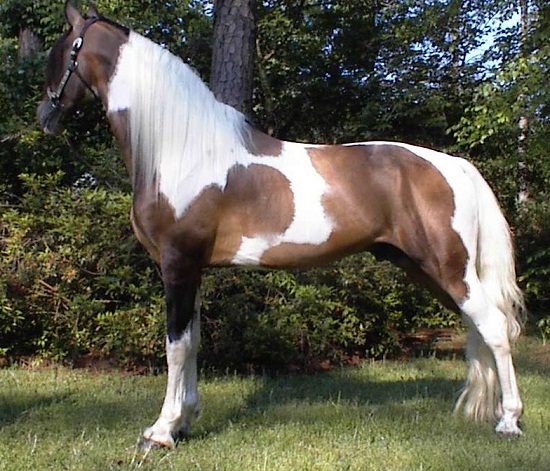 This selective breeding was purposely done to increase the size while still retaining the coloration and the gait. 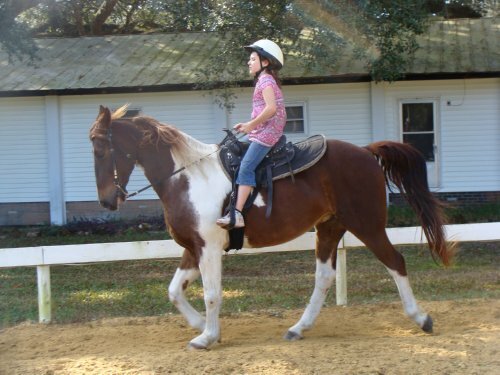 Initially, these new horses began to be used for trail and pleasure ridings. 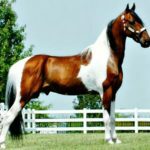 After 1865, a few of the other gaited equine genes, including Peruvian Paso, Missouri Fox Trotter, Paso Fino, and Tennessee Walking Horse, were also added to the breed so as to bring additional smoothness in their movements. 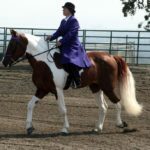 Two registries, with one being the ‘National Spotted Saddle Horse Association’ (NSSHA) and the other – ‘Spotted Saddle Horse Breeders’ and Exhibitors’ Association’ (SSHBEA), were founded in 1979 and 1985 respectively. 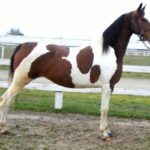 They were formed to promote the breed, safeguard their natural gaits and coloration, as well as to prohibit the cruel practices against them. 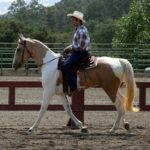 Every year, in January, the National Spotted Saddle Horse Association hosts an annual open meeting and awards banquet where 15 members of NSSHA are also elected from the general members to serve on the current Board of Directors. 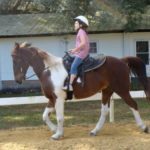 Best ride ever. 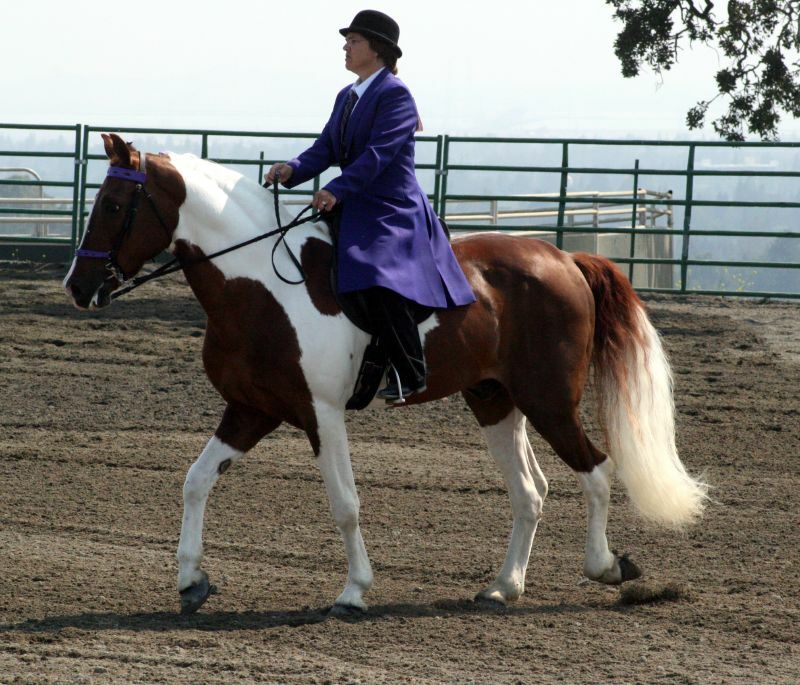 Wonderful disposition, my mare is so willing and forgiving of my inexpert riding. 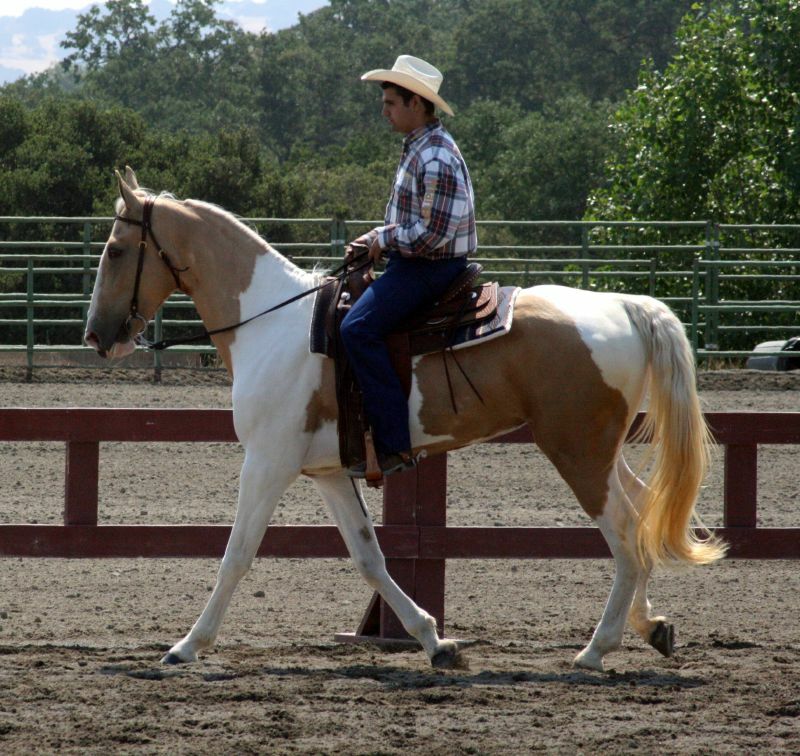 The perfect horse for riders with back and hip pain; you glide so very smoothly.